A couple years ago, I was touring in Europe when we played a really unusual gig. We had been told we would be playing in Malmo, Sweden —a pretty big city— but when we got to the gig, it was on a farm an hour or more outside of town. This was the middle of nowhere! The place was called “The Barn” and they had concerts there with a band playing on an old flatbed truck. The owner also owned a herd of American Buffalo that he kept in the next field over. There were various industrial and farm vehicles everywhere, and we were shown an old school bus where we were supposed to sleep. Wow, this was the country, man! And when the sun went down, all these Swedish hillbillies started showing up. It was in this setting that I first saw an amazing band who opened up for us that night. 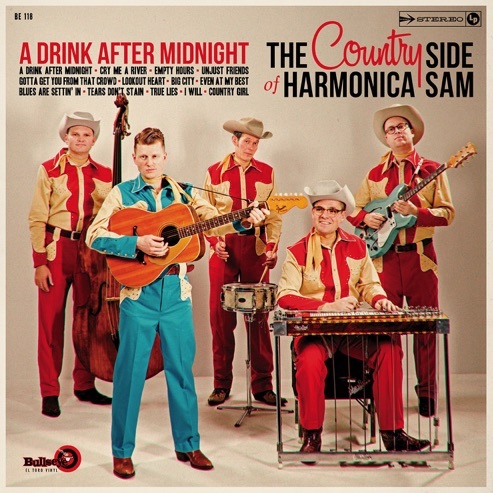 They were called “The Country Side Of Harmonica Sam.” Wow! They were amazing! They totally knocked me out. 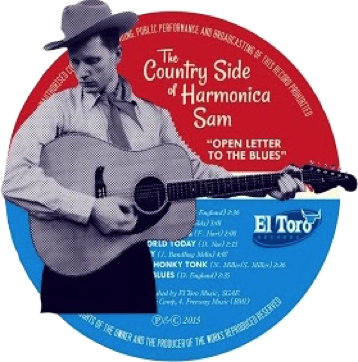 Here in this perfect atmosphere, “The Country Side of Harmonica Sam” played late 1950s and early 1960s honky-tonk country like we had been transported in a magic time machine. They were great! They played and I could swear if I closed my eyes I was listening to George Jones, Faron Young, or Lefty Frizzell. I was totally blown away. I had seen Harmonica Sam play in other settings, and he's a great blues harmonica player and entertainer in his own right, playing with bands like the Domestic Bumblebees and other blues groups in Sweden. But he sure has this “country side” of him—what a great singer and front man. You would never guess that he was also a blues man, when he sings this stuff you could swear he grew up on a farm in Arkansas and ate biscuits and gravy every morning. The “Country Side” of Sam is a major talent. 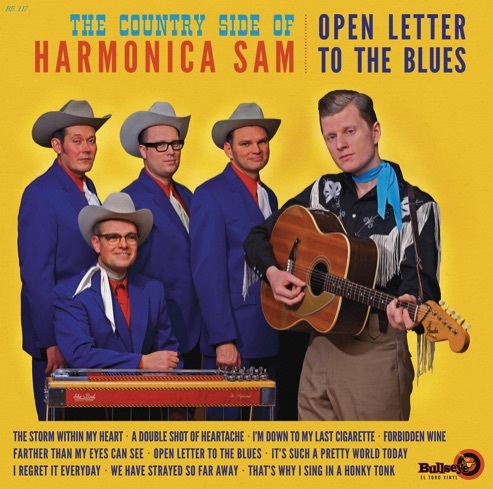 Now “The Country Side of Harmonica Sam” and his great band have recorded this album. I think it's fantastic, and I think you will, too. If you like the idea of getting in a time machine and landing in Nashville, Tennessee in 1959, then you need this album! You won't be disappointed! New album out May 5 on CD and 12" vinyl LP!